When lawmakers implemented property tax caps back in 2008, it cut down the amount of tax money that could be distributed to school districts and fundamentally changed the way public schools in Indiana are financed. 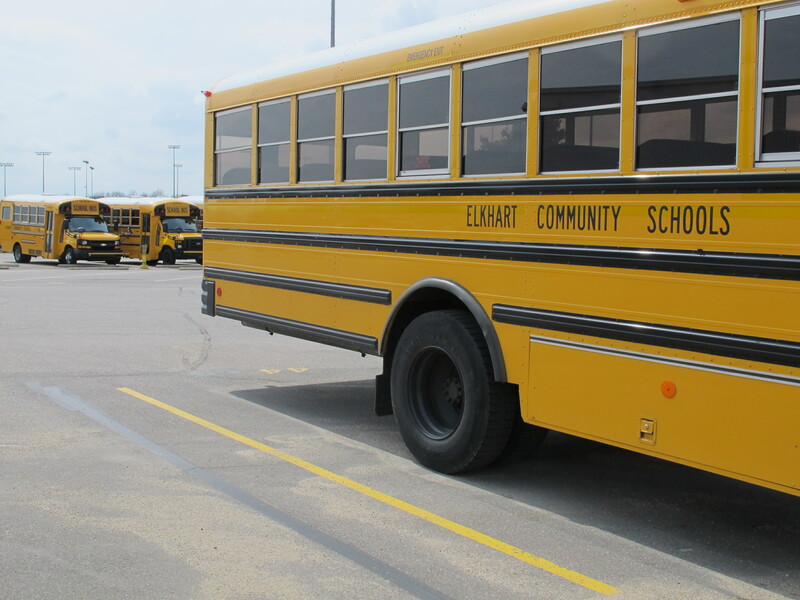 One of the referenda passed for Elkhart Community Schools will fund transportation costs to put more school buses on the road. 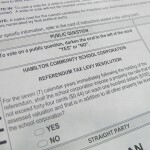 Shortfalls in revenue for some school corporations have led to an increase in the pursuit for funding through referenda. Just last week, voters in nine separate districts saw referenda on their primary election ballots – and all but one said “yes” to the proposed changes. Nine out of 10 referenda passing in one election cycle is a better rate than the state has been seeing in recent years. Since November of 2008, Indiana has tried 102 school-related referenda and about half have passed. HOW DO PROPERTY TAX CAPS AFFECT SCHOOLS? The caps limit the amount local governments can collect on a piece of property, and ultimately the levy distributed to school districts. Since they went into effect, the flow of revenue has slowed in about a third of school districts across the state. In 2013 alone, districts lost a combined $245 million to the caps. Elkhart Community Schools has seen a shortfall of about $16 million since the property tax caps took effect. Doug Hasler, Executive Director of Support Services, says the district was only collecting about 80 percent of its certified tax levy. Things like regular building maintenance and transportation options for students. Elkhart Community Schools had to reduce the number of buses in operation, which meant students who lived less than two miles from school had to find their own way to get there. Many ended up walking, even on some of the coldest days this past winter. District administrators decided to ask community members to help them close the budget gap through two referenda. One would raise money to put more buses on the road, and the other would fund capital projects such as adding safety and security programs. Elkhart voters said yes to both measures. Residents will now spend an extra 18 cents per $100 dollars of their property’s value annually to help Elkhart Community Schools raise $47 million dollars. WHAT’S HELPING THESE MEASURES PASS? Purdue University economics professor Larry DeBoer specializes in local tax levies. He says the recent increase in success of school referenda could be attributed to a number of factors. DeBoer also says the shift in offering referenda in May rather than November might be one of the most crucial factors of success, especially in this most recent election cycle. And according to DeBoer, removing the general public from the voting process only helps local schools. “The benefits are really concentrated on those households that have kids. I think it’s the motivated parents that show up in May that makes the difference,” DeBoer says. Doug Hasler says parents, teachers and other grassroots community support were key in pushing two referenda measures through for his district. Krista Riblet was one of those people. A parent of two students in the Elkhart district, as well as a language arts teacher at one of the middle schools, she got involved with the “Yes4Elkhart” community campaign group. She canvassed neighborhoods, made countless phone calls and monitored social media to educate her neighbors on the referendum issues. Now that the referenda have passed, Riblet says her group is working to continue educating residents through Facebook and Twitter, as well as in person at neighborhood events, in hopes that community awareness will grow.